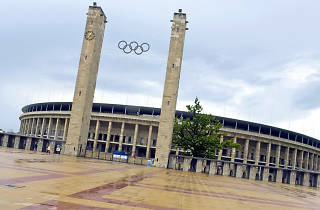 Designed by Werner March, the Olympiastadion is a testimony to the ideals of fascist architecture. At the end of a straight stretch of road running directly from Brandenburger Tor through Tuergarten and on, this is a graceful oval structure in pale stone, rich with classical motifs and combining simplicity of line with regular proportions. 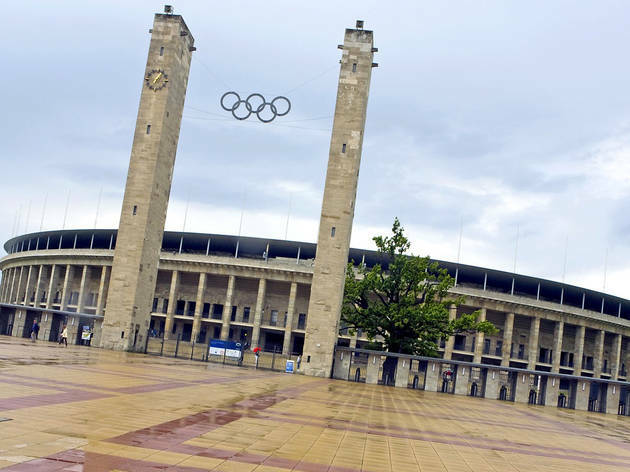 Although intended to be the central stage for Aryan prowess in the 1936 Olympics, this stadium was instead, famously, the site for black athlete Jesse Owens’ four-gold-medal triumph. It has since survived World War II bombs and threats of demolition to get a complete refurbishment for the 2006 World Cup, including a floating roof that leaves the central area open to the elements. Come to see Berlin’s beloved underdog football team Hertha BSC, the German Cup Final or the occasional pop star. Open 9am-7pm (on event-free days).